We are a fast-growing Victoria based company that is revolutionizing healthcare communications. Faced with entrenched competition, we were able to rethink how communication workflows and processes should work to support clinicians. The result of that innovation is a flexible cloud-based platform that can be found across Canada and the USA, changing the way clinicians work and communicate. 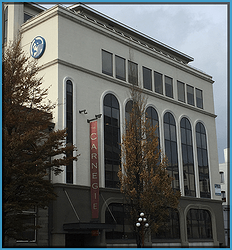 We are located in beautiful downtown Victoria, British Columbia. The office is a 5 min walk to the ocean, boasts many great restaurants and is a hub for many outdoor activities like mountain biking and hiking. Every individual at Telmediq plays a key role in shaping our future. We are a close knit team, sharing ideas and laughs, listening closely to our clients and working to shape the future of healthcare. We are a mixed group, working in-office or remotely, but we get together regularly to celebrate our achievements and the achievements of our customers. Telmediq believes strongly in supporting our local economy and giving back through community support. Since 2015, Telmediq has worked with the University of Victoria co-operative education program and makes a point of hiring and supporting local students and recent graduates. Our core belief in changing healthcare for the better has been a driving force at Telmediq, shaping how we work together to achieve our goals. Leading the way with new ideas to simplify and improve the way clinicians and nurses work. Approaching every day with the goal of improving our solutions to make work more efficient, secure and effective for our customers and their patients. Innovating for the sake of innovation doesn’t reflect the needs of our customers. A respect for people, teams, workflows and hospital culture helps us understand and lead change that resonates with our customers. Patient health, safety and privacy come first! We know that what we do matters and helps ensure doctors and nurses communicate quickly, securely and effectively.